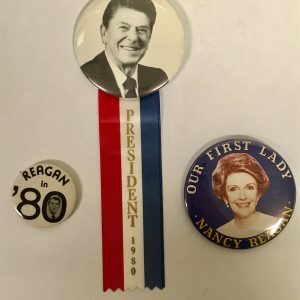 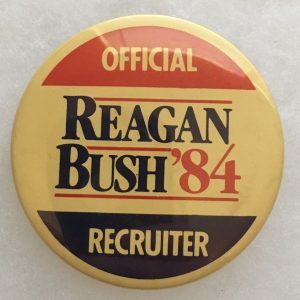 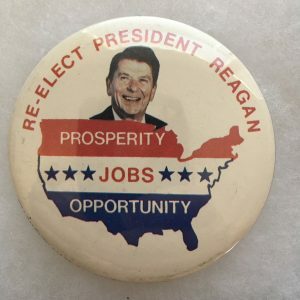 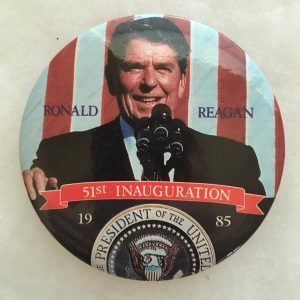 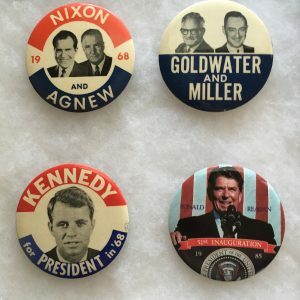 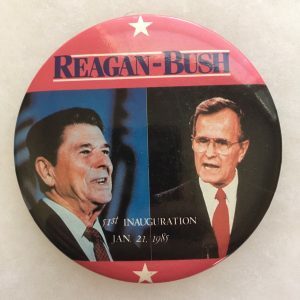 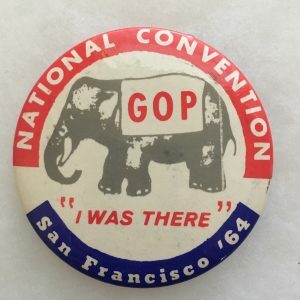 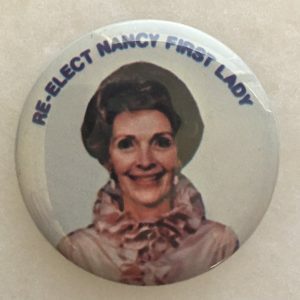 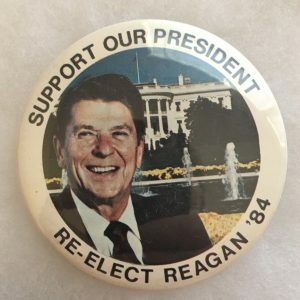 Ronald Reagan campaign buttons were used to promote Regan as the Republican Presidential nomination in 1980 and 1984. 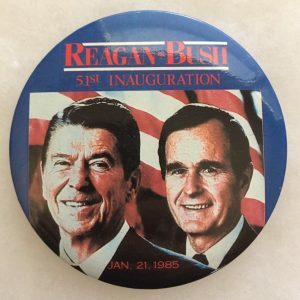 Reagan chose as his running mate former Texas Congressman and United Nations Ambassador George Bush. 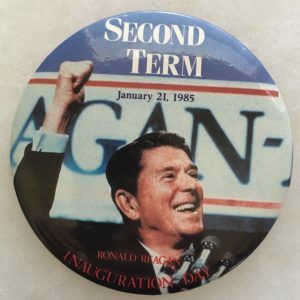 Voters troubled by inflation and by the year-long confinement of Americans in Iran swept the Republican ticket into office. 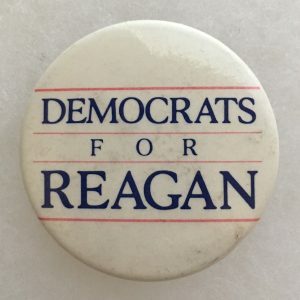 Reagan won 489 electoral votes to 49 for President Jimmy Carter.